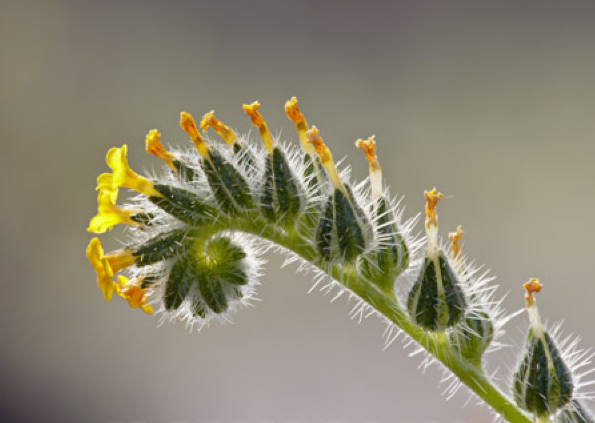 Fiddleneck – What Good Is It? 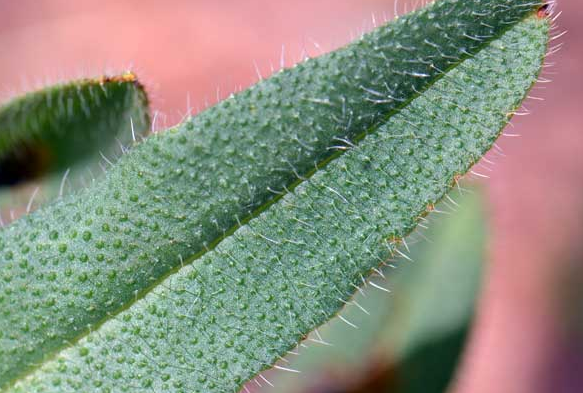 Leaves & stem showing hairs. 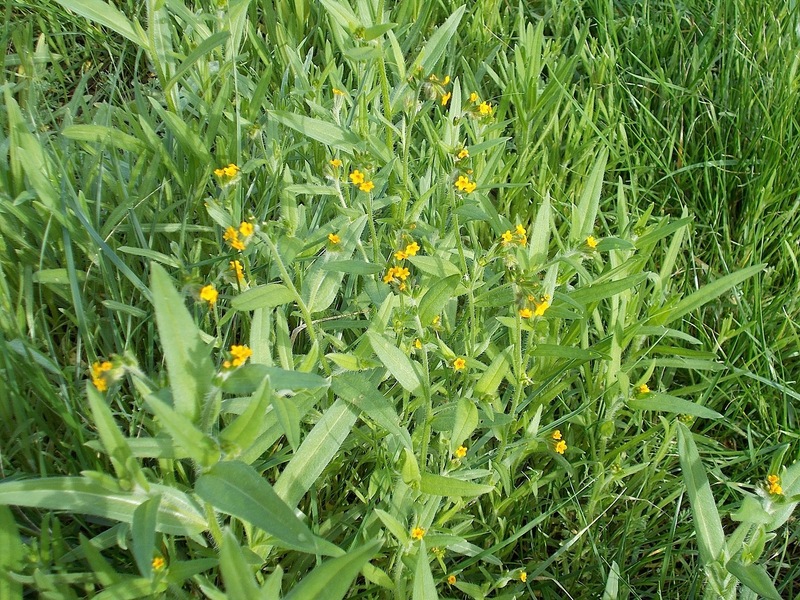 The seeds and foliage are poisonous to livestock when ingested in quantity, because they contain toxic alkaloids (intermedine and lycopsamine) and high concentrations of nitrates. Poisonings occur when livestock consume contaminated grain or feed. So Really, “What Good Is It?” Fiddleneck might not be very good for humans, nor for our imported livestock which didn’t evolve as natives in this landscape anyway. But the Native Americans who prospered for centuries while being dependent for their existence on the plants that grew around them, the shoots, seeds and leaves of the abundant fiddleneck were used as food. A pinole (an ancient “power food” prepared from ground and toasted seeds and used as an ingredient in cereals, baked goods, tortillas, and beverages), made by the Chumash and other Indians, was described by the Spanish settlers as having “good flavor and pretty color”. The plant also had some limited medicinal uses. 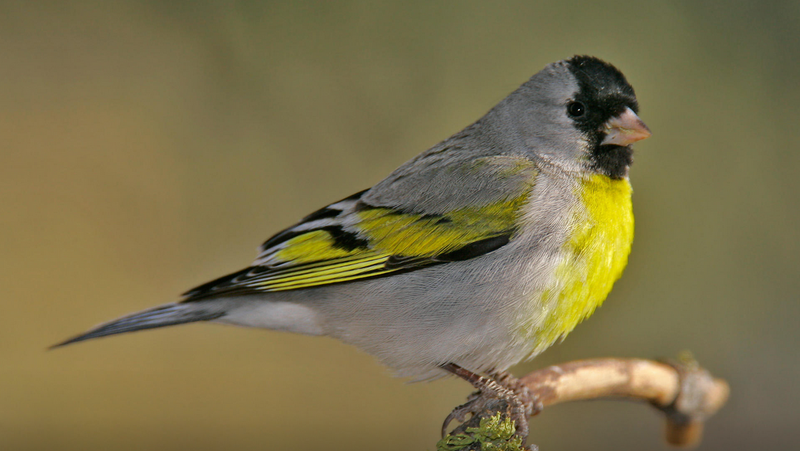 Fiddleneck seeds are the favorite food of Lawrence’s goldfinch (Carduelis lawrencei), and are of special value to honey bees which in turn pollinate many of the crops we depend on for our food. 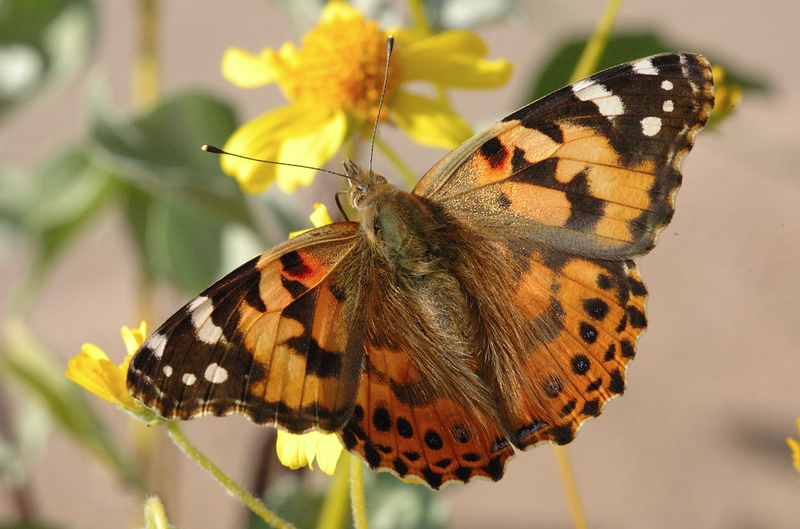 The leaves are used as food by the larvae of the popular painted lady butterfly (Vanessa cardui). 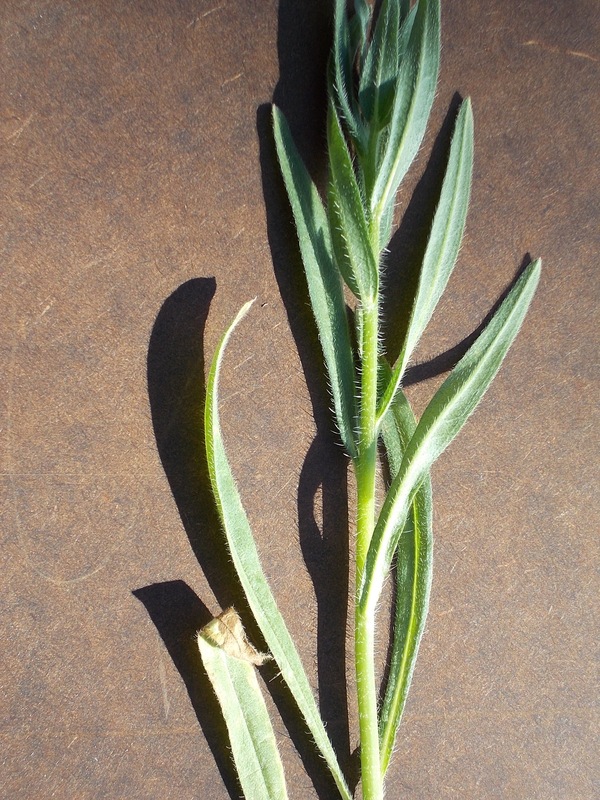 But aside from their use to wildlife, fiddleneck stems and leaves are soft and juicy, and they rot easily when turned under as green compost. This, together with its ability to spread widely and rapidly, makes fiddleneck a potentially useful soil amendment for the home gardener. So, if you want to know “what good it is”, you need to ask the birds, bees and butterflies, and home gardeners who have learned to value it to improve their garden soil. Congratulations to Malvika & Meenakshi ! 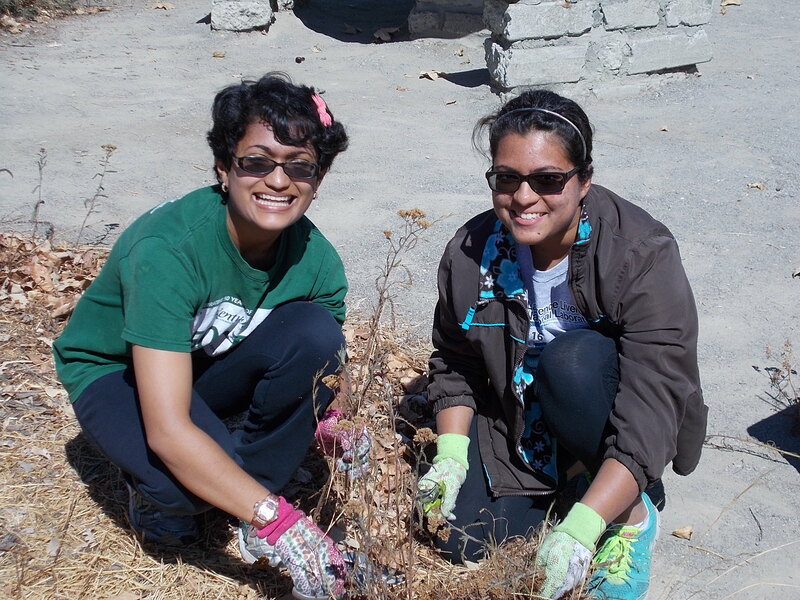 Two Granada High School students and Granada Native Garden Volunteer Worker Bees, Meenakshi and Malvika, recently won the App Challenge sponsored by Congressman Eric Swalwell. After “coding like crazy” all weekend, the sisters created an app that could help people (especially stressed-out high school and college students!) deal with negative emotions and convert them into positive messages. Meenakshi reports that they are looking forward to getting the app on the App Store soon. As always, Jim, your posts are informative and on point. Thanks for your hard work in the garden and at the computer.